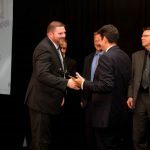 In an industry that is constantly growing and changing, we have found that the best way to stay competitive is to keep the focus on customer service, no matter what. We’ve been putting our customers first since we got started back in 1998, and we’ve built our business on meeting your unique needs. Our skilled in-house installation crew will complete your project from start to finish (no sub-contractors) and we stand behind our work 100 percent. This means we can promise top quality products, flawless application, affordable pricing, and on-schedule completion. If anything goes wrong, we’ll make it right. We’ll even come to your house for a free consultation and measurement. Panorama window films designed specifically for solar heat control can not only help you reduce dependence on air conditioning during the warmer months, but also keep your heating bills down in the Winter. No longer will you have to keep the curtains drawn to just stay comfortable in your home. Now you can enjoy the view and the temperature in your home at the same time. 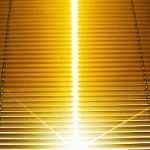 If you have fabric window treatments or furniture placed near windows, you may have noticed that they are fading in the sun. This can also happen to your floors, like sun-bleached hardwoods in front of a sliding glass door, for example. Our solar-reflective film products can save your interior from sun damage so you can keep your home furnishings looking like new. Did you know that you and your family are still at risk for skin cancer, premature aging, and debilitating eye conditions even when you’re indoors? 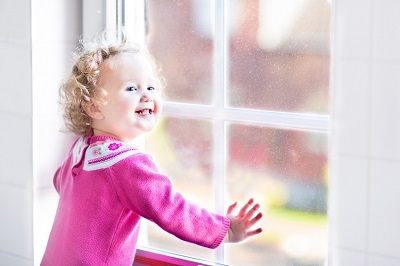 Standard windows will block the sun’s UVB rays, but harmful UVA rays can still get through. When Panorama films are installed, 99.9% of all sun rays are blocked, giving you peace of mind that everyone in your home is healthy and protected. What do burglars, bad weather, and active kids all have in common? They break windows. But, with Armorcoat safety and security film applied, shattered glass will remain in place when the window breaks, preventing injury and intrusion. Whether it’s a baseball, a tree branch, or an intruder, you can count on Armorcoat to keep your family safe. Are you looking for a new, creative way to decorate your home? Perhaps you just need a bit of privacy. We offer a wide variety of decorative window films, from a simple frost to a colorful “stained glass” pattern, and if you’ve got something special in mind we’ll use our blotter to create a one-of-a-kind graphic film just for you. Call us at 503-736-9000 or visit our contact page to request a free quote. * We’ll get back to you with all the information you need in 48 hours or less. * Your estimate is guaranteed free, but please note that our project minimum is $250.